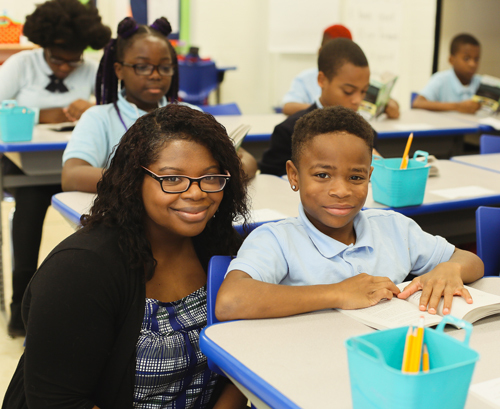 The St. Louis Teacher Residency provides an innovative pathway into the classroom. 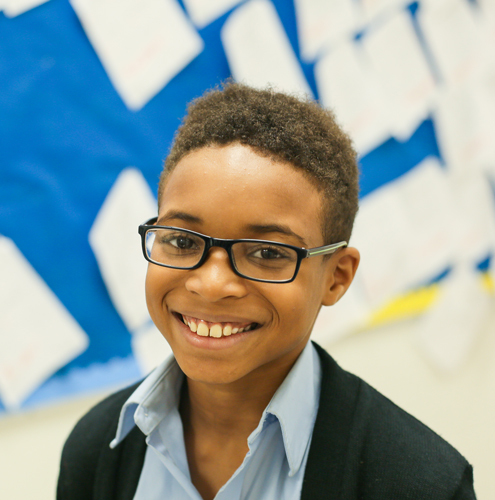 Our model blends a rigorous full-year classroom apprenticeship with a carefully aligned sequence of academic coursework, designed to successfully prepare you for a career in urban education. STLTR residents receive a stipend during the residency year and a guaranteed teaching position in one of our partner schools or districts. Induction: The residency year begins in June. STLTR residents train as part of a cohort – a peer group that provides ongoing support and collaboration throughout the residency year. In the summer session, you will meet the members of your cohort, learn more about our school and community partners, and spend time preparing for your residency placement in the fall. Classroom Apprenticeship: As a resident, you’ll spend the full academic year in one of our partner schools, developing under the guidance of an experienced mentor teacher. Over the course of the year, you’ll move from a co-teaching role in the first semester to full-time student teaching in the spring. You’ll receive ongoing instructional coaching from your mentor teacher and STLTR staff and an $18,000 stipend to support your training in the classroom. Coursework and Practice: Throughout the residency year, you’ll attend twice-weekly classes designed to help you make connections between your work in the classroom and the latest in education theory and practice. These classes focus on the skills you’ll need to build a culture of care and support in your classroom and deliver rigorous and engaging instruction. STLTR coursework also incorporates weekly, structured practice and role plays, ensuring that you’re prepared to execute effectively and engage learners. Lead Teacher: In the second year, you’ll begin to work as a full-time teacher in the partner school or district where you completed your apprenticeship. You’ll receive support and coaching from STLTR and have the opportunity to attend monthly workshops, designed to help you become an effective first-year teacher. In the second semester, you will begin paying a $6,000 training fee to STLTR to cover the cost of the certification coursework provided in the first year. Master’s Coursework: STLTR residents will also continue coursework with our university partner, Washington University in St. Louis, leading to a Master of Arts in Teaching at the end of year two. STLTR seeks candidates who are committed to working in public schools in St. Louis. As a residency graduate, you commit to teaching in your partner school or district for three years. We anticipate that our graduates will go on to become mentor teachers and leaders in their school communities.